Thy Kingdom Come. Thy Will Be Done..."Our Father who art in heaven, Hallowed be thy name. Thy kingdom come. Thy will be done on earth, as it is done in heaven" (Matthew 6:10-11, Inspired Version). Blessed Are They Who Seek My Zion..."Blessed are they who shall seek to bring forth my Zion at that day, for they shall have the gift and the power of the Holy Ghost" (1 Nephi 3:187, RLDS 1908 Edition). "May the kingdom of God go forth, that the kingdom of heaven may come, that thou, O God, may be glorified in heaven, so on earth, that thy enemies may be subdued; for thine is the honor, power, and glory, for ever and ever. Amen" (RLDS Doctrine and Covenants 65:1). If you support the sentiments expressed in the verses shown above, we invite you to join with others of like faith to pray for the Kingdom of God, that His will may be done on earth as it is done in heaven. This website contains a Daily Prayer Time Chart with 30-minute slots for each day of the week. When each slot is filled with one or more names, we have the potential of praying around the clock for the Kingdom of God. Please choose times that are good for you and register your commitment to pray for the Kingdom. Days and Times Desired, Your Name, Your State or Country (if you are outside the US). We will display your first name, an initial, and your state or country. Each year we will offer you the opportunity to renew your commitment. •	Pray that we may humble ourselves, repent, and turn to God (see 2 Chronicles 7:14). •	Pray that we can develop more love for one another (see John 13:35). •	Pray that we can become of one heart and one mind (see Genesis 7:23). •	Pray that we may be anxiously engaged in a good cause (see Doctrine and Covenants 58:6). 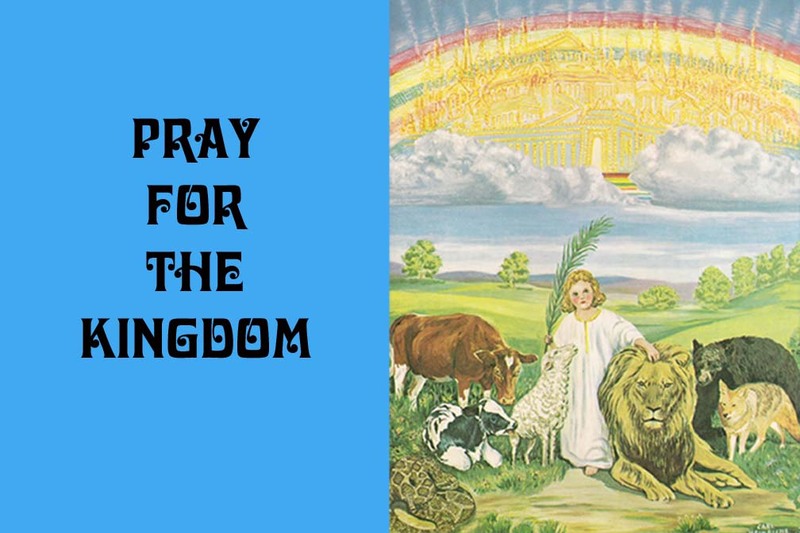 •	Pray that the Kingdom may come and God’s will be done on earth as it is done in heaven (see Matthew 6:11). •	Pray that we may embrace the truth and look upward (see Genesis 9:22). •	Pray that we may seek first for the Kingdom of God (see Matthew 6:38). •	Pray that the places we occupy may shine as Zion (see Doctrine and Covenants 128:8). •	Pray that we may impart of our substance to those in need (see Doctrine and Covenants 102:2). •	Pray that we can prepare to meet God (see Alma 16:228).